Aboriginal Art News wishes to pay tribute to the late Mandawuy Yunupingu, who died in Yirrkala, NE Arnhemland on June 2nd aged 56. He had been fighting end-stage renal disease and had undergone dialysis for several years. This is his life-story from the Yothu Yindi Foundation, which he created. Mandawuy Yunupingu was born on 17 September 1956 near the remote north-east Arnhem Land community of Yirrkala, 600 kilometres east of Darwin in Australia's Northern Territory. At the time of his birth, Yirrkala was controlled by the Methodist Missionary Society. His surname, Yunupingu, means "rock that will stand against anything". Originally known as Bakamana, he took the name Mandawuy (meaning "clay") in 1989 following the death of a man who shared his former name. (Under Yolngu law, the name of a dead person cannot be uttered until that person's spirit has passed on to its rightful place). Mandawuy's skin name is Gudjuk meaning hawk. He was a member of the Gumatj clan of the Yirritja moiety. His ancestral totem was the baru meaning saltwater crocodile. 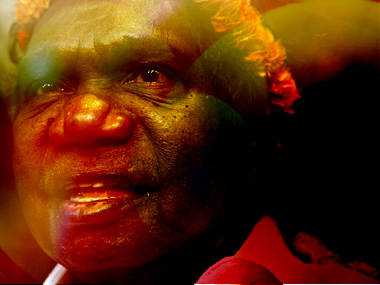 Mandawuy spoke many of the tribal dialects encompassed in Yolngu matha as well as English. In 1977 Mandawuy earned a restricted teaching certificate and began teaching at the Yirrkala Community School. In 1985, while teaching at Galiwin'ku on neighbouring Elcho Island, Mandawuy wrote his first song, Djapana (Sunset Dreaming). Later in the year he formed the band Yothu Yindi with his nephew Witiyana Marika. In 1987, Mandawuy became the first Aboriginal person from Arnhem Land to gain a university degree, taking a Bachelor of Arts (Education) from Deakin University. In 1989 he became assistant principal of the Yirrkala Community School and set about introducing a both-ways curriculum that offered students the best aspects of both Yolngu (Aboriginal) and Balanda (European) education processes – teaching in both languages. In 1990, Mandawuy took over as principal of the Yirrkala Community School, a position he held until late 1991 when he took leave to concentrate on his career with Yothu Yindi. As the band's principal songwriter he was responsible for much of the material on Yothu Yindi's gold album Homeland Movement (1989) the multi-platinum album Tribal Voice (1991), Freedom (1993), Birrkuta - Wild Honey (1996), One Blood (1999) and Garma (2000). With Yothu Yindi, Mandawuy toured extensively, performing throughout Australia, north and south America and eastern and western Europe as well as parts of Africa, Asia and the Pacific. In December 1992, the band was invited to headline at the New York launch of the United Nations International Year of Indigenous Peoples. Another career highlight beamed around the world was Yothu Yindi’s performance during the closing ceremony of the 2000 Sydney Olympics. On January 26, 1993, Mandawuy Yunupingu was named Australian of the Year for 1992. It's an award with which his brother Galarrwuy was honoured in 1978. Mandawuy came from a politically active family. His father was a signatory to the bark petition presented to the federal parliament in 1963. It was that petition that led to the historic Gove Land Rights case and ultimately to the implementation of the Land Rights Act (NT) 1976. Mandawuy Yunupingu was deputy chairman / secretary of the Yothu Yindi Foundation an Aboriginal Foundation set up in 1990 by Mandawuy and elders from five clans of the region. One of the key objectives of the Foundation is to support and further the maintenance, development, teaching and enterprise potential of Yolngu cultural life. The Yothu Yindi Foundation presents the annual Garma Festival of Traditional Culture held at Gulkula, north east Arnhem Land. The Foundation launched the Yirrnga Music Development Centre, a state of the art recording studio at Gunyangara at the 1999 Garma Festival. And the Festival has done much to maintain Yolngu ceremony and culture, without which none of the great art from that region could be produced. In 1995-96 Mandawuy was chair of the Reference Group Overseeing the National Review of Education for Aboriginal and Torres Strait Islander Peoples. In April 1998 Mandawuy was awarded the honorary degree of Doctor of the University (DUniv) by the Queensland University of Technology "in recognition of his significant contribution to the education of Aboriginal children, and to greater understanding between Aboriginal and non-Aboriginal Australians." Mandawuy was later working on the establishment of an National Indigenous recording program and, with other members of Yothu Yindi , was committed to a schools touring program to share their culture and inspiration. In February 2005 Mandawuy and family members undertook the delivery of the Alcan Cultural Induction program with the specific goal of minimising the social impact on the Yolngu community in the Nhulunbuy region from the massive influx of non indigenous residents working on the upgrade of the Aluminium refinery. He was married to Yalmay, a teacher from the Rirratjingu clan, and they have six daughters, several of whom are also teachers.